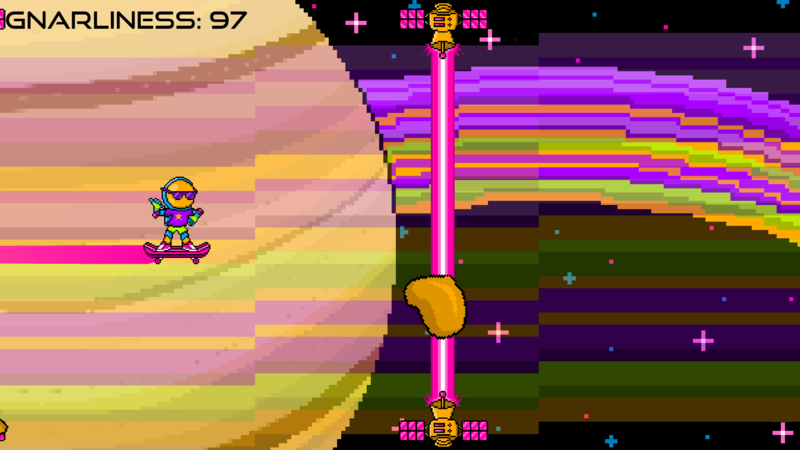 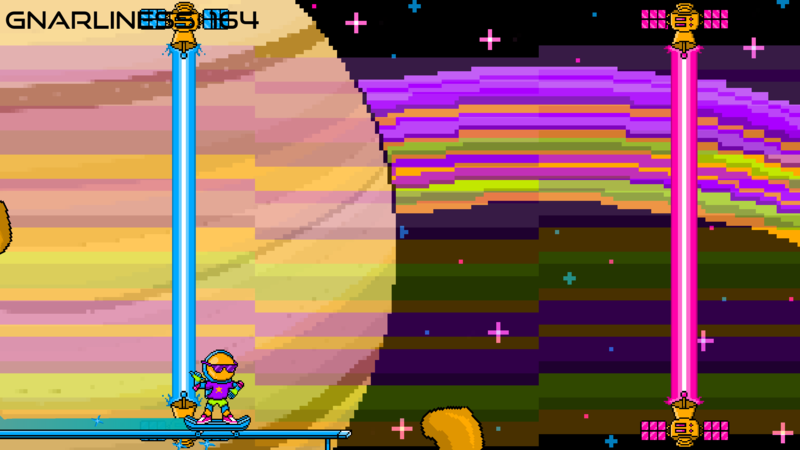 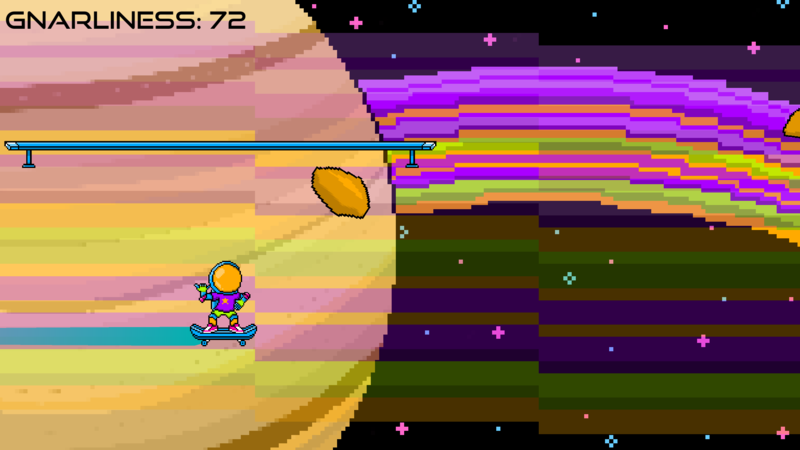 In Space Dude With Attitude, you play as Space Dude, a radical interstellar skateboarder trying to shred on Saturn’s Rings. 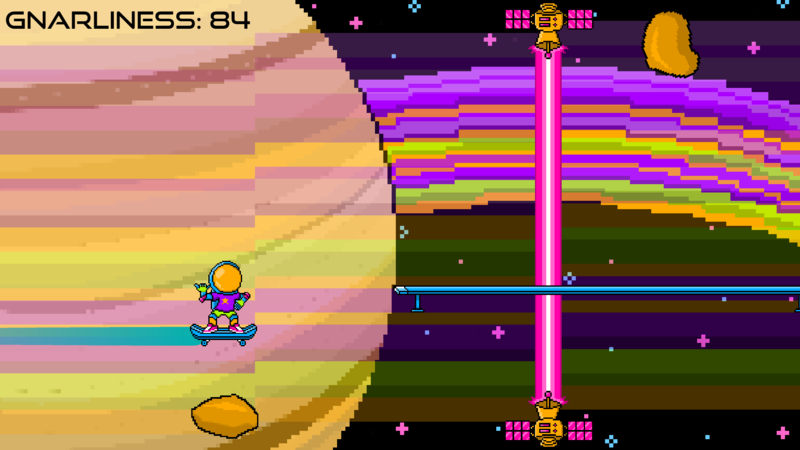 Do a sick kickflip to match the color of the incoming lasers and grind rails. 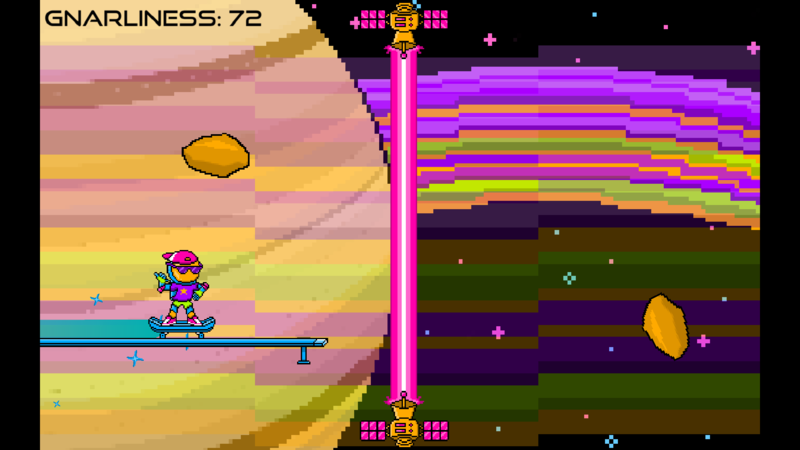 Watch out for those bogus space rocks. 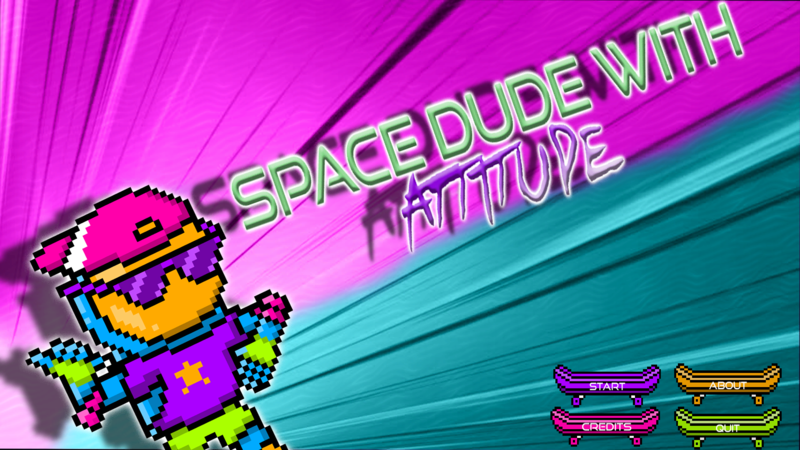 The longer you shred, the gnarlier you become!